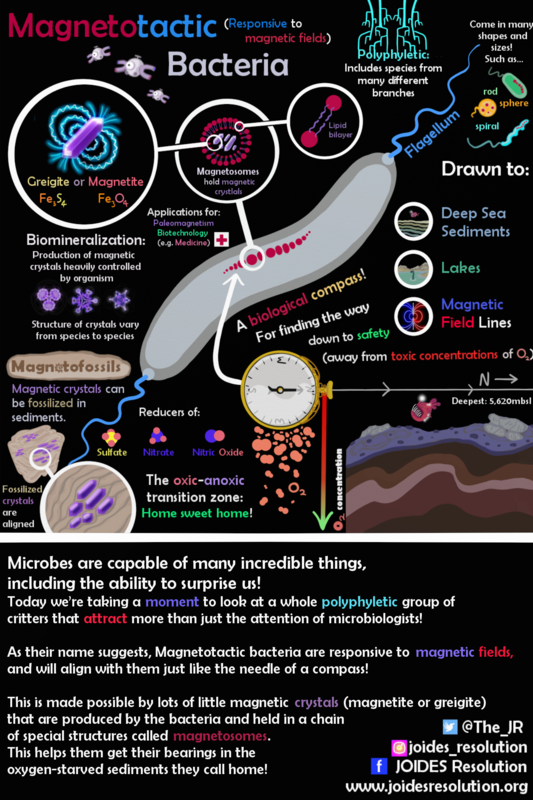 Actvity Summary: Learn about the fascinating lives of the Magneto-tastic microbe with this poster! 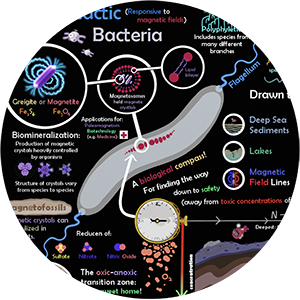 These microbes are responsive to magnetic fields, and will align with them just like the needle of a compass! This is made possible by lots of little magnetic crystals (magnetite or greigite) that are produced by the bacteria and held in a chain of special structures called magnetosomes. This helps them get their bearings in the oxygen-starved sediments they call home.